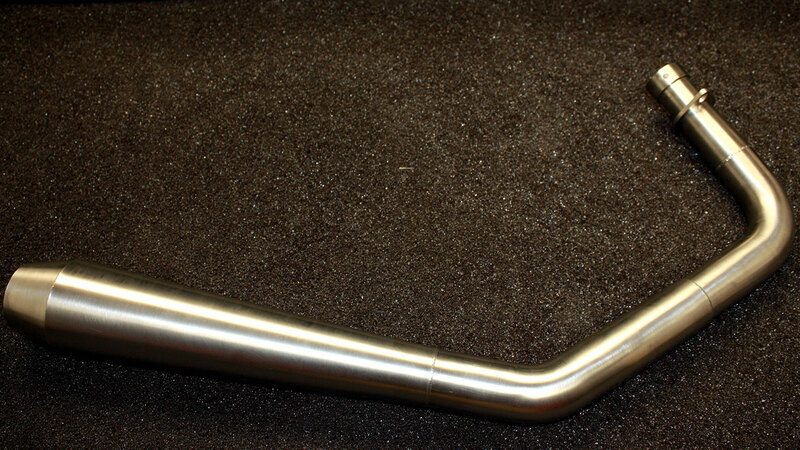 CRF 450 out of frame drag exhaust with custom taper, stepped head pipe exclusive EHS design made by Barkers Exhaust. 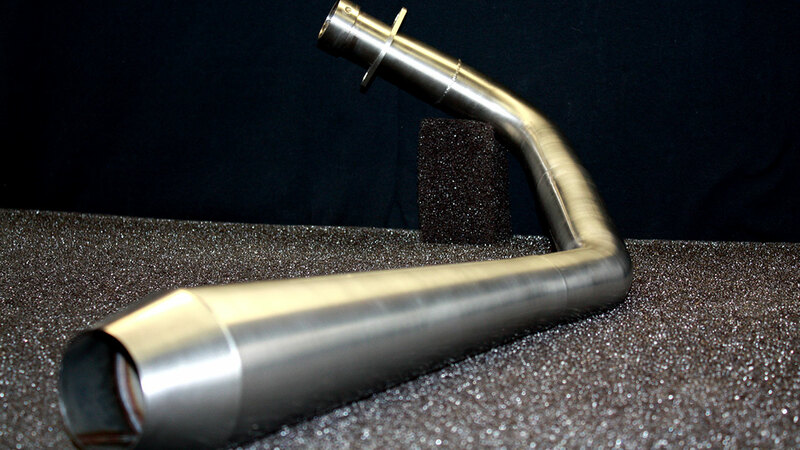 The 1st section of exhaust pipe from the head is a custom extruded constant taper which eliminates the multiple steps need to create the scavenging effect needed by the newer high HP 450 motors for today's age. We are the 1st to bring this new setup to the market. 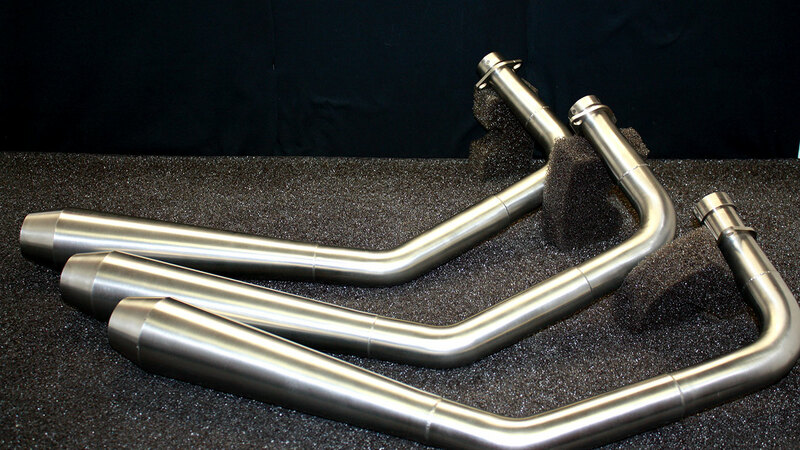 Pipes are made specific to bike and fit the head precisely not like some other drag exhaust with a mis-orientation right at the port exit. 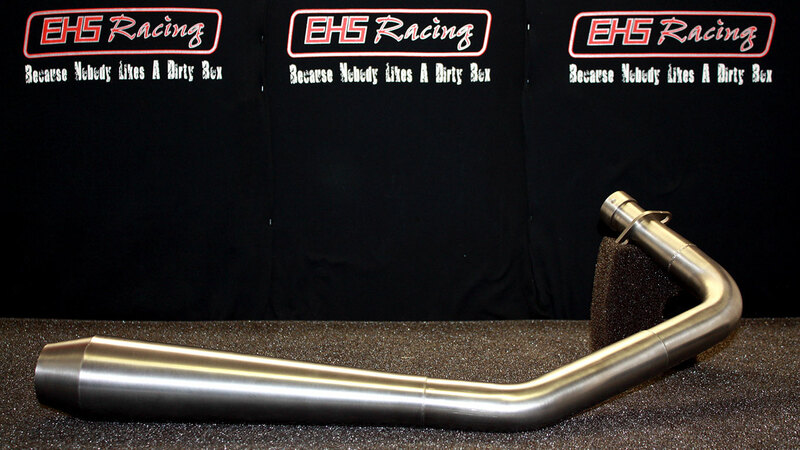 Quality stainless, perfect welds and best HP tested to date this is the new exhaust to beat if you don't have it your a step behind. Designed by EHS manufactured by Barkers in our continued working partnership.